Gamers with a love for narrative-driven experiences are likely fans of 999: Nine Hours, Nine Persons, Nine Doors and Zero Escape: Virtue's Last Reward, and the pleasing news is that the third entry in the series - Zero Time Dilemma is coming to 3DS this year. As is tradition, the most loyal of fans that put down early pre-orders will also receive a watch, all at the same price-point. It certainly is a reward for loyalty, as these sell out early on, long before game details and release windows have emerged. 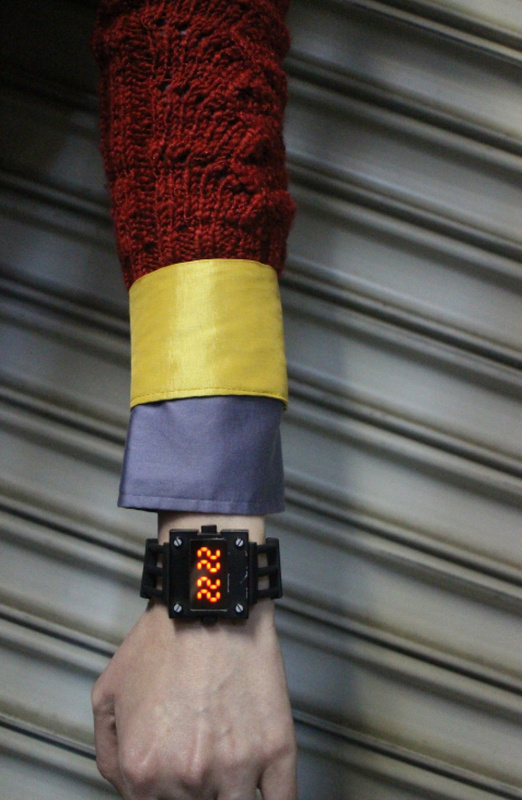 Now, Aksys Sales & Marketing Manager @Aksys_Danny has shown off the watch for the latest entry. It adopts a different look from its predecessors, going for rectangular shape and a worn metal look, all with a red LED (though it looks orange-ish in the photos). 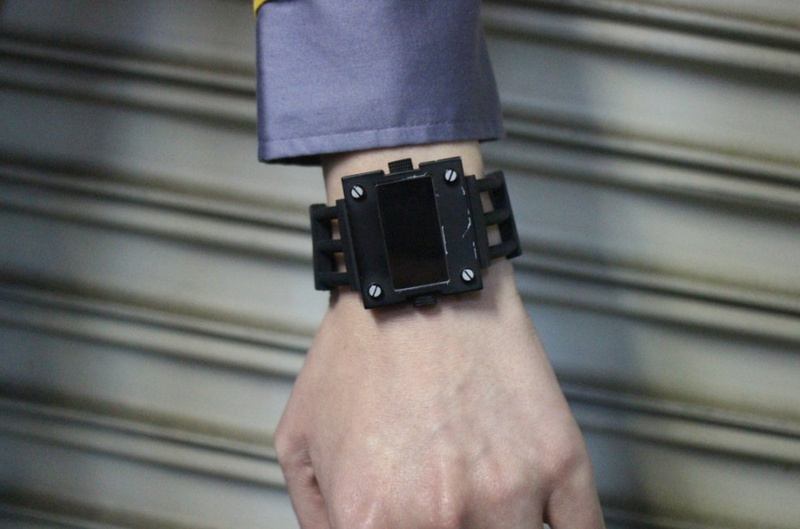 Pre-orders that include the watch are long gone, but the Aksys man did say that those who missed out shouldn't lose hope, responding to a question on pre-order availability. Via preorder no. But I will say that the future looks bright for those who missed out. lt's certainly a neat extra for the most eager of fans. We're looking forward to learning more about the game ahead of its release later this year. Oww. That watch is going to cut you if you actually wear it. I always wanted to get into this series, but I always was playing something else. I just never had time. It does not look very comfortable, but I kind of want it. Not sure if I will go out of my way to get this though. If I can get it without importing it perhaps. If they make a limited edition of the game I will probably buy it, I've been waiting a long time for this game. After playing a flash game along the same lines I'm fairly interested. I hope they'll be available in Europe too. I would've bought one when the pre-orders were up (I have no way of playing the NA version of the game but I wanted the watch) but they didn't ship them outside of America. The previous watches are way too expensive so I have no way of obtaining one of them either. I bought the 999/VLR art book recently though (it was quite expensive as well). Got it on Vita the other day. Plot hasn't gone anywhere as I've only just started the Nonary game but the English-language writing is pretty sharp! Europe never got the chance to get one of these. I think they should at least consider that. Our only option will be eShop as well - I'd have loved to have owned the card. We are only a couple of steps away from Woz sense of fashion. I just barely missed out on the watch pre-order this time, but I'd be happy to shell out for a separate purchase. I got watch preorders in for the game on both platforms, but it'd be nice if they shipped it separately as well. I just barely managed to snag a copy of the VLR watch years back, as Amazon thought they wouldn't be able to ship my limited edition preorder to me. Now I just need to decide on whether I get a PS Vita so I can play the US copy with the watch, or do I just grab another EU 3DS version when it's released here. Mmm... no. Not really feeling this one... Still can't wait for the game though. Virtue's Last Reward for 3DS - I believe they never bothered to fix the save game corrupting bugs. Treating their customers that way, I will skip this one. @polarbear It was fixed in the eshop version, the retail version never got patched. @ASonic3582 Really? That was good to know. I tried to find information about it in the past. May pick it up on a sale then. 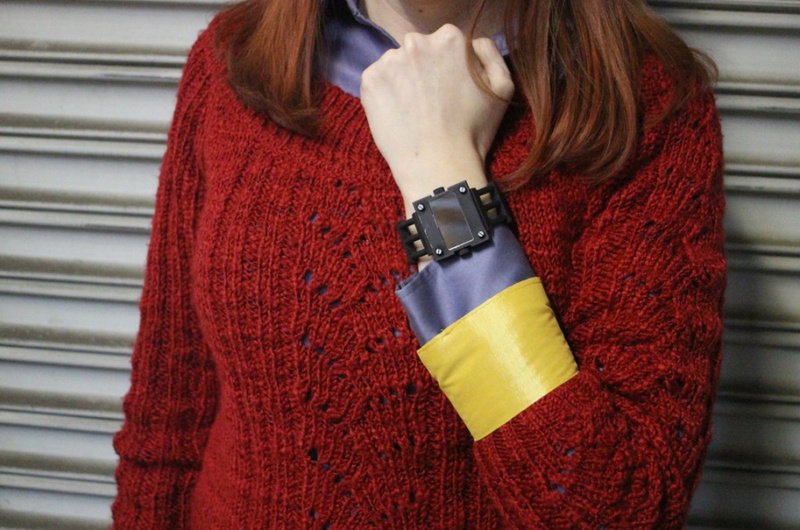 Legend has it that if this watch is in a 50 meter radius of a 3DS with a copy of zero escape virtues last reward it will corrupt their save date. Mm-mm, gurl. That watch does NOT go with that outfit! I didn't jump on the games until the year before 3 was announced so I missed out on those watches... I was planning on preordering 3 to get the watch, didnt figure it would sell out so fast. Meh, they never came to Europe and this watch most probably won't either. Got mine on preorder... likely won't use it. The watch looks nice, but I do hope it's sturdy.